The Garden Apartment is reached from garden level. A flight of steps leads up to the sea and sands. 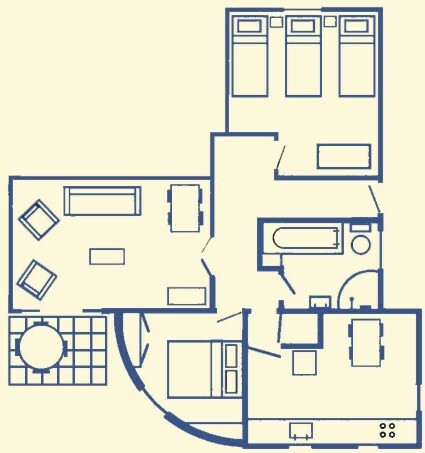 There is a well-equipped kitchen-diner with electric cooker, microwave, fridge and deep freeze. A washing machine and ironing facilities are also provided. The living room has a 32 inch TV and DVD player, and opens out onto the patio, with its own furniture. The apartment sleeps up to five guests. There are two bedrooms, one with a double bed, the other with two single beds and a "trundle bed", so comfortably sleeps three. 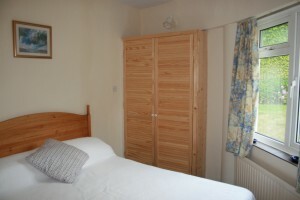 Both bedrooms have wardrobes. 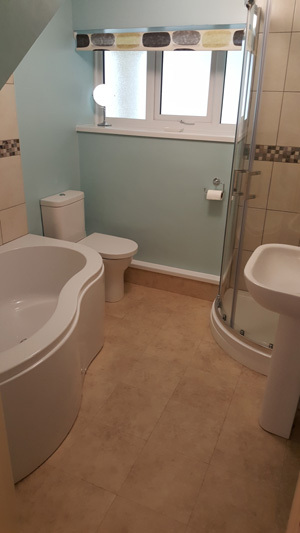 The bathroom, which was refurbished in 2017 has a bath and separate shower cubicle. The apartment has gas-fired central heating. 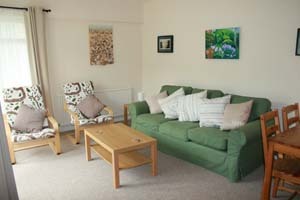 "Our daughter, son-in law and kids had a superb time and just loved the Garden Apartment. 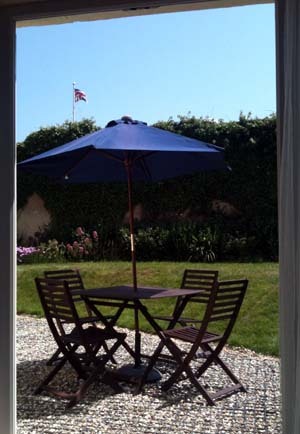 The location was great for the beach and the village and the secure garden was great for small children. The kids loved the big box of toys and buckets and spades!!!! We enjoyed the BBQ also. All in all a superb place to stay and very well equipped.